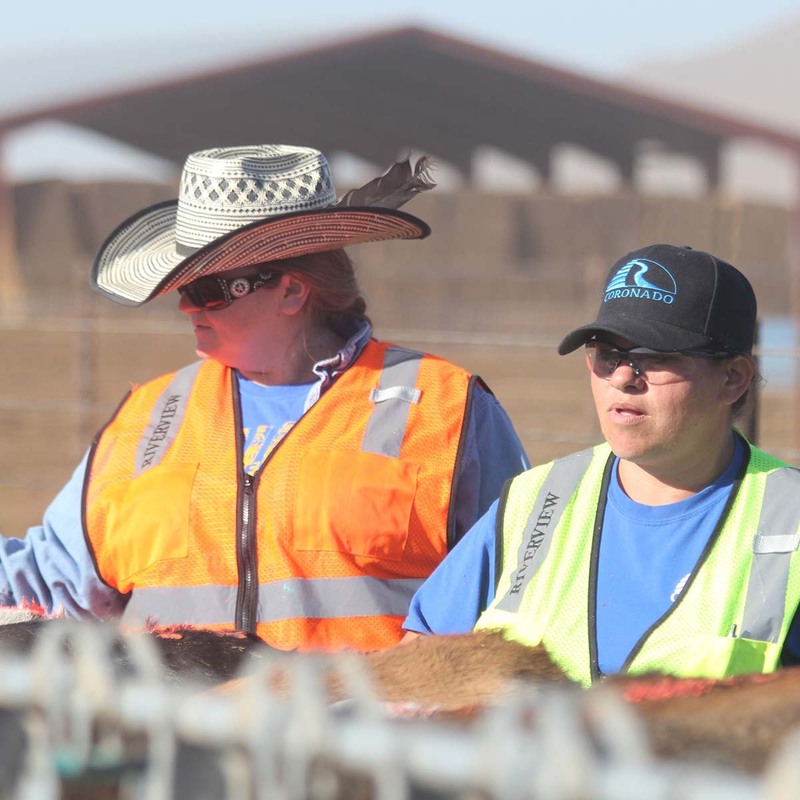 Ninety-seven percent of dairy farms in the United States are owned by families, and Coronado Dairy in Wilcox, Arizona, fits into that statistic. But what makes Coronado different is that collective ownership is offered to the many families that work on the dairy farm. Coronado Dairy is a part of Riverview, LLP, a limited liability partnership, that allows its employees to buy into the dairy after two years of employment. Coronado Dairy searches for employees who are not only talented in their specific field but who live, on and off the dairy, by five core values: candor, integrity, keep it simple, spirit of humility and strong work ethic. Their goal when hiring new employees is to provide a culture of opportunity to passionate people. During the interview process, questions are structured around these values, and if a prospective employee doesn’t fit into their values, they aren’t hired on as part of the team. According to Natasha, “there is no way employees don’t understand our expectations because they are simple, and we expect everyone to model the core values on and off the dairy.” The Coronado Dairy family believes in these values so strongly that they use them as their one-page employee handbook. At Coronado, Moiria White, another community relations team member, and her co-workers who own and work on the dairy are active members of their communities – hosting open houses and opening their doors to field trips for hundreds of kids a year, agriculture specific educational camps and learning sessions. Employees also provide milk, cheese and yogurt to community events, host elementary school field days, offer scholarships to local graduates and have even helped a local elementary school remodel their school grounds. Coronado Dairy’s many employees who make up their farm family might not look like yours or mine, but through their hard work and undeniable devotion they are a family committed to each other, the animals they care for and the land they tend. During June Dairy Month and beyond, we think it’s important to spotlight people like the farm families of Coronado Dairy who are Undeniably Devoted to all things dairy. Elizabeth has been working for dairy farmers at Dairy MAX since 2017. She has a background in marketing and public relations and loves helping tell the dairy story. When she's not working, Elizabeth can be found playing with her son and making our moist banana bread recipe. Learn more about Elizabeth.